I am excited to be posting the official review for my first completed project of my 2012 sewing challenge! I think I got the fit near perfect and I like it. Another view of the back waist – I love the fit! The front closure – I should have sewed the hook a little closer to the end. An easy fix if I decide it is necessary. I am super pleased with my pants! I wore them to a conference the other day, as well as to a buffet lunch and sat in them for a 3 hour drive home. I am happy to report that they were incredibly comfortable, didn’t bag at the set or knee, and, if I do say so myself, looked pretty darned good. Even better – I have about a yard of this fabric left over, so I am thinking I might be able to get a pencil skirt out of the remainder. As much as I love these pants, though, I still think I prefer the Vogue 1051 pattern. This pattern hits a bit higher on the waist, which for me would be a bit uncomfortable if I hadn’t used such a stretchy material. However, I am still going to call this pattern a TNT – are people allowed to have multiple TNTs for a certain type of clothing? Or is the idea that you have only one TNT for pants, for a dress, and for a shirt? Perhaps I am breaking some sort of rule here, but I guess I figured any pattern that you want to re-use multiple times could be considered TNT status. 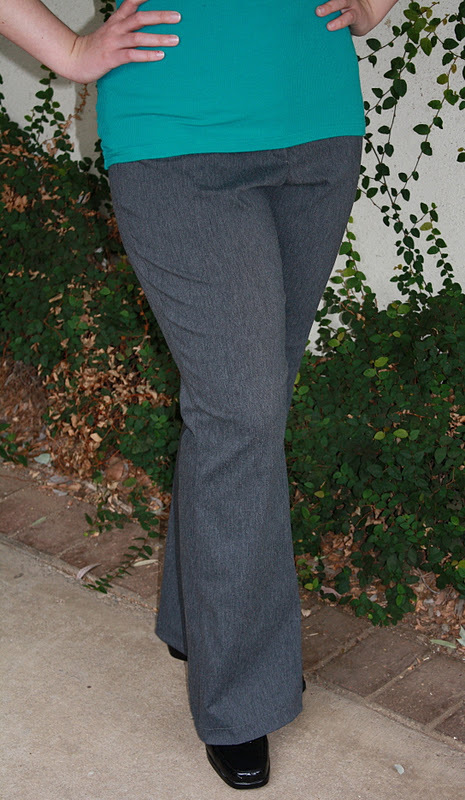 Pattern Description: Fitted trousers with flared leg and patch pockets. Pattern Sizing: Burda sizes 36-44. I used a size 42 at the waist and 44 at the hip. Were the instructions easy to follow? Mostly, yes. The most complicated parts are the pockets and the fly front. I didn’t really read the instructions for the waistband as I have made several pairs of pants before, but those didn’t look too overwhelming. I think it helped that I have made welt pockets before, and done fly fronts before using other instructions. I think it might be good to have alternative instructions if these are your first pair of pants. Also, I just want to mention that I did use the Burda instructions for installing the fly, and while I think I found the Vogue 1051 instructions easier (the other pants pattern I have used), I did get a flatter insertion with the Burda instructions. I know there are many good tutorials online and I think I should study those before I try pants again, just so I can see what other techniques are available. Did it look like the photo/drawing when you were done with it? Yes, mostly. In my finalized version I left off the patch pockets because I didn’t really like the way they looked in my muslin variation. I thought that the flare looked a bit more pronounced in the photograph, though probably it just seems that way because the model and such long legs and must be wearing very high heels. What did you particularly like or dislike about the pattern? Well, I loved the style of these pants when I saw them in the magazine, and I still really like it now that I have made them. I will say that the waistband is much higher than I am used to, but was still comfortable since I used stretchy fabrics. The only thing I didn’t really like about this pattern were the pockets – when I made my muslin version I thought they weren’t very flattering and the way they are inserted into the side seams made them pucker oddly. Fabric used: A grey polyester/rayon/lycra blend from Hancock Fabrics. It was very stretchy and pretty soft, very comfortable to wear. Pattern alterations or design changes you made: Well, as for design changes I left off the pockets on my final version. As for alterations, I made quite a lot. First, I shortened the leg by 2 inches in the calf area. I have not had length problems with Burda pants in the past, but when I traced these I noticed they looked long, so I measured the in-seam. The extra length is all in the lower leg, so I assume Burda thought we would all be wearing these with super high heels. I took out the length mid-calf so that the proportion of the hips and the flare would be the same. My other alterations were in the center back seam – I took out 1/2 inch to deal with the gapatosis issue, but had to remove quite a bit through the entire center back seam to prevent a weird bubbling effect over my rear. 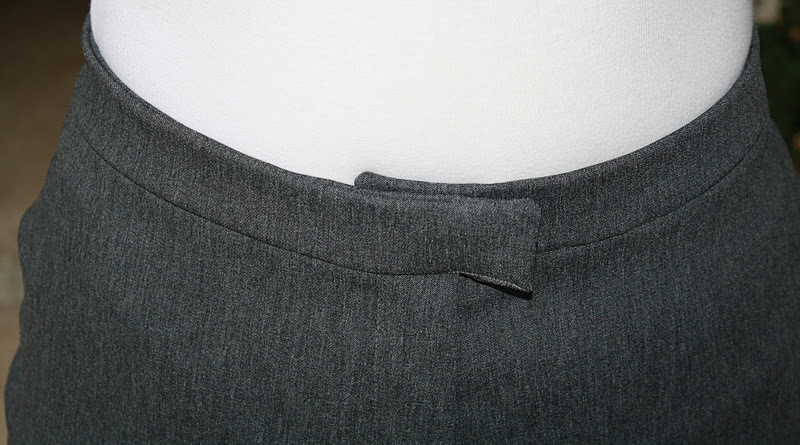 I noticed that when I took in the waistband by the same amount it came out too short, so I might recommend adding a bit of length to the waistband if you don’t need to make fit alterations in this area. Would you sew this again? Would you recommend this to others? Yes to both! I really like the style of these pants, and I think they can be flattering to many people. The waistband is a bit higher than I am used to, but it is fairly comfortable in a stretchy material. I think my favorite pants pattern is still Vogue 1051, but this is a close second. I have a lot of patterns I want to test, so I don’t know if I will be making another version of these soon, but I do like these and would love to have another version of these eventually. Conclusion: Love these pants! This is a great pattern and I love the fit and style. I have been in love with this pattern since the magazine came out, and I very pleased with my finished results. So that was the first garment of my sewing challenge – just 11 more to complete it! I had hoped to be starting the actual sewing of the raincoat next weekend, but my failure with the pattern muslin has pushed me back to the beginning of that project. Which is annoying because the weather is mocking me with some pretty bad rain storms this past weekend. 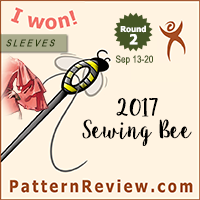 In any case, I am still debating between patterns, but I am hoping I can have the new muslin ready to sew up next weekend. In the mean time, I am thinking I might cut out my “every occasion top” to sew that up next weekend. Since I have already used this pattern (McCall’s 6078), it should be a quick project. Your pants look really good! Glad you could wear them to the conference and that they worked out so well. Great trousers. I haven't sewn any trousers yet because I don't wear them much any more (although I don't know if I don't wear them because I don't sew them or don't sew them because I don't wear them). I do have a pair cut out ready to sew for this month's part of my Burda Challenge and will be doing a fly front for the first time. I think you can have as many TNT patterns as you want – if you make it, love the fit and will make it again then it's a TNT. In case you've never seen it, there's a video on the Threads website http://www.threadsmagazine.com/item/3831/video-an-easy-flat-fly-front-zipper that I've seen people mention is the best method they've used for a fly front. Thanks for the video link – she makes it look so easy! Although I think her method is very similar to Burda's method (though she makes it much easier to understand), and next time I should totally use interfacing. I am hoping I can manage to try out a few more pants patterns later this year, even if they aren't part of the challenge, just because I wear them all the time and right now the only options I have that aren't jeans are the ones I have been sewing, as I got rid of all my older dressy trousers that didn't fit anymore. Nice! And yes! You can have as many TNT patterns as you like, IMHO. Hi, your challenge inspired me. I am a new sewer and am very excited about it a couple months a go I couldnt even thread a machine. I am going to try a similar challenge! Great! 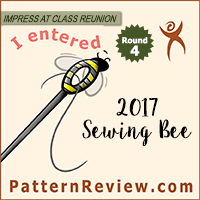 I am excited I have inspired others to try sewing things. I think it will be great for a new sewer because you get to try lots of different things – like pants, skirts, jackets, dresses – and you will get to try lots of new techniques and improve your skills. Hopefully you can post updates and let us all know how it is going!